Purpose: The purpose of this study is to give an insight into the practices of Moroccan industrial companies in the area of managing quality costs. Furthermore, it analyses how the quality costing system (QCS) implementation and sophistication differentiate according to a number of variables (size, business market orientation, QMS Maturity...). Design/methodology/approach: In order to achieve this objective, a questionnaire survey has been conducted among a heterogeneous sample of 1000 industrial companies that are operating in the national territory yielding a response rate of 23.4%. This study uses exploratory and chi-square test in the process of answering the above-mentioned questions. Findings: The survey highlighted the limited use of quality costing practices among Moroccan industrial companies. Results indicated that 42.6% of surveyed companies are engaged in QCS while 63.4% of them do not. The primary barrier is the complexity of QCS implementation. Besides, findings pointed out that origin, business activity, business market orientation and QMS maturity level are prominent to QCS implementation (p<0.05). 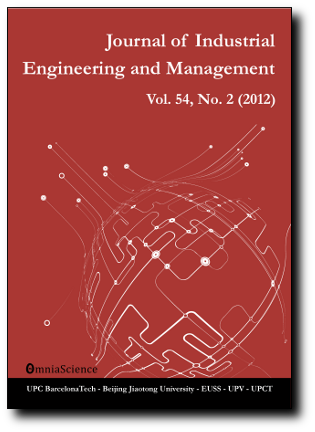 Originality/value: This is one of the first studies to provide an insight into practices of Moroccan industrial companies in the area of managing quality costs. Indeed, several studies were led in different countries but no empirical study has been conducted in Morocco. This will give a clear picture of the situation at the national level. Research limitations/implications: The major limitation of the study is the limited number of respondents. Future researches should be conducted to cover a bigger sample size from manufacturing and services sector as well. Practical implications: The findings provide an insight into the barriers to QCS implementation which can be used as basis to identify ways to overcome these difficulties, to develop guideline and reveal best practices in the implementation of COQ reporting system.